As a child, I went though public schools. Some people may not want to admit that, but I am proud to say that I went from kindergarten to a senior in high school in the same school district. Like most schools at the time, things were rough in the middle school level, but if you kept your nose clean it was easy to get a good education. I had opportunities in the high school that no other schools in the area, state or country were doing at the time. I learned so many amazing things during my time as a student in the public schools. I also had teachers that inspired me in my teaching career and beyond. Today, I find myself sitting here scratching my head after recent events. Last week, I went to a meeting at our school where they revealed drafts of the new budget. I sat at the meeting feeling more and more disgusted by the minute. I shook my head, worried about the future of the schools for my son and his peers. Right now, NHL’s school may be on the chopping block. That is a very good question. Something that I do not understand given the progress this school has made. It has steadily increased enrollement and done extremely well on state exams. The sad reality is this does not seem to matter in the district. They are willing to close one of the top performing schools because of the size. Of course, the bigger issue is the cause of the budget issues. Like so many other school districts in New York state and beyond, budgets are being slashed. Thanks to sloppy work in the New York state government, the wrong amount of federal stimulus money was sent to districts thoughout the state last year. They were sent the money that should have been split over 2-3 years and they were JUST notified about this a few weeks ago. Don’t even get me started on how the individuals that screwed this up causing districts across the state to be short millions of dollars are still in their job. This is something I hope to continue to investigate. 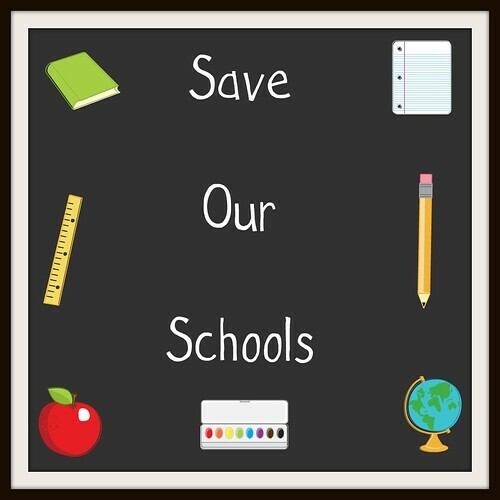 The largest issue are the charter schools in our area that are sucking the tax money and literally killing off our public schools. What many people do not know is that charter schools are run by businesses, NOT educators. Where this may seem like a fabulous idea, it typically fails in the end. Tests are not developmentally appropriate for students, teachers are not licensed, business people run the school and make promises that can never be delivered. Worst yet – they correct their own state exams which are not audited (so DUH they do wonderfully). Having applied for a charter school teaching job I was floored with the line of questioning I received that had nothing to do with educating children. That is a topic for another day – we are talking major anger and pet peeve here. Over 100 employees will be losing their jobs. This includes administrators, teachers, non-instructional staff, and substitute hall monitors. Note that last year over 100 also lost their job. Nurse teachers will be replaced by RNs. At the meeting, the district speaker tried to say that they are not in the classroom. I beg to differ. The nurse teacher at my son’s school is an amazing woman that teaches health education, nutrition, distributes healthy snacks to the kids and is a fabulous resource for the kids when they need another trusted person to talk with. For the record – even if everything in Tier 1 is nixed, there will not be enough money generated to stop Tier 2 from going forward. The reality is that both are likely needed to just get the district out of the deficit and keep things at a status quo. Today, people received notices that they will likely not have a job next year. The reality is harsh and as a parent I fear for our children. Public schools are a dying breed and it makes me horribly sad. So I am now on a mission. I need to write letters, let my voice be heard and find a way to save not only our school, but our district that is in a horrible mess thanks to the economy and our bankrupt state. My question to you. Where should I start? Who should I write to outside of the school district to let them know how they are failing the future of our state with their incompetent spending and constant cuts to education? Where do I send a letter to let them know the truth about Charter Schools and how they are slowly making public schools in our area dinosaurs that will not be seen? Fl went through this, is still going through this. FL PTA is going to the state capital to protest and are sending out emails with the new education bills and their stand on it. They recommend writing, calling,e-mailing the state legislatures. Any and all of them. Last year, our county PTA made up pre-addressed post card to local politicians and offered to pay postage and mailed them. They also offered sample talking points since people often just don’t know what to say to get their point across. Good luck! It seems to be an uphill battle…. Our school district is great, and it is ranked high nationally and now they are talking about Charter Schools. I was like WTF!!! I associate Charter Schools with failing school districts, maybe I am wrong, but I think of Charter Schools as a last ditch effort to save a failing system. To me it is an unnecessary thing where I live, especially since the community just spend INSANE amount of money on a beautiful new high school complete with state of the art gym, Olympic size swimming pool, community theater center with a floating ceiling and a soon to be high school ice rink. The funny thing is the school district wanted to build 2 high schools, but the community put their foot down and said “NO!One Community One High School.” Most people didn’t want the divide two high schools could cause in this community- I can’t imagine the divide Charter Schools would cause. .-= Susan´s last blog ..Motherhood and Writer’s Goo =-. Charter schools have nothing to do with failing systems. Charter schools are alternate educational venues set up to either help students who struggle in traditional school settings, or challenge students who are bored in traditional school settings. A private individual can set up his or her own charter school if they have a local, mission, and funding.